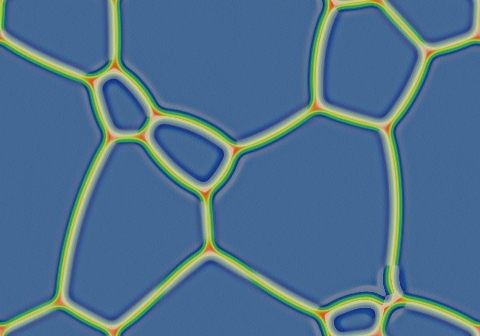 These images and movie demonstrate the behavior of the Gray-Scott reaction-diffusion system with σ=Du/Dv=2 and parameters F=0.1060, k=0.0530. 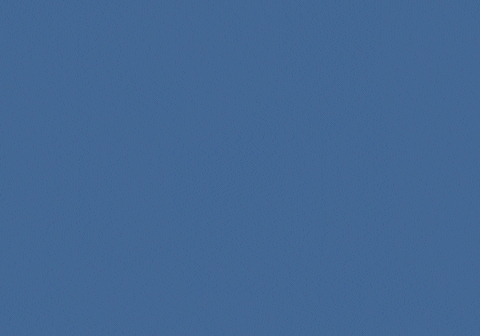 Red spots on a blue background quickly shrink and disappear. 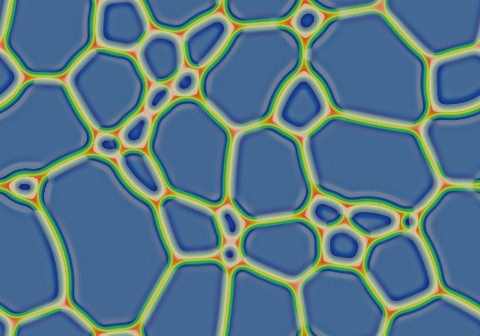 Blue spots on a red background, as seen here, quickly grow to fill the space, but upon meeting one another tend to remain separate. Larger spots tend to overpower smaller spots, and the small spots usually join a neighboring large spot; however they can sometimes survive for an extended period as solitons (for example, two spots in upper-right from 0:09 to 0:20, another in lower-right from 0:17 to 0:30). 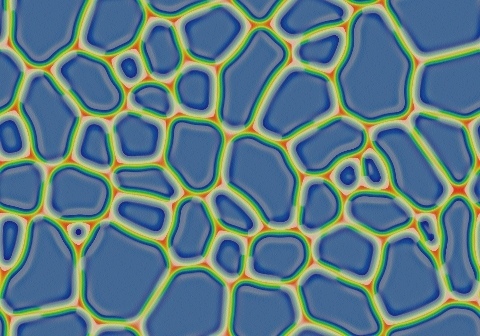 The overall effect is somewhat like a negative version of the coalescing "bubbles" seen to the east but with less surface tension in the edges.